The following is a statement from NASA Administrator Charles Bolden on the passing of original Mercury astronaut Malcom Scott Carpenter from complications following a stroke. Carpenter, who was the second American to orbit the Earth in 1962, was 88. "Today, the world mourns the passing of Scott Carpenter. 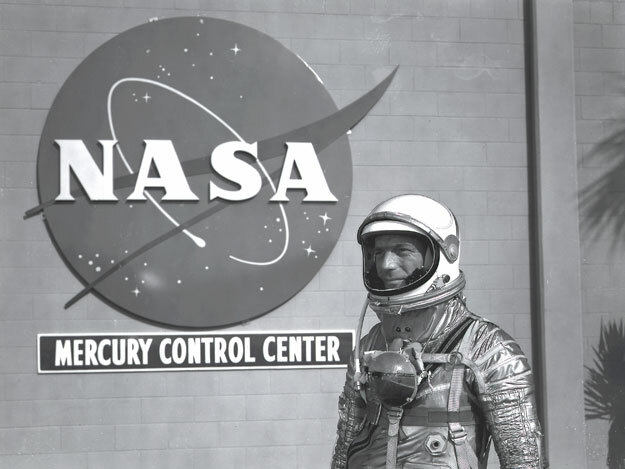 As one of the original Mercury 7 astronauts, he was in the first vanguard of our space program -- the pioneers who set the tone for our nation's pioneering efforts beyond Earth and accomplished so much for our nation. "Scott served his nation first in the U.S. Navy, and he later pioneered underwater missions that also helped us learn about operating in space. When he became the second American to orbit the Earth, he completed his mission despite challenging circumstances. We knew then that not only did America have what it took technologically, but our entire astronaut corps would be able to face the challenges ahead that would lead us to the moon and living and working in space. "After his spaceflights, Scott helped design the Apollo Lunar Landing Module and was active in underwater training of astronauts for spacewalks. His accomplishments truly helped our nation progress in space from the earliest days to the world leadership we enjoy today. We will miss his passion, his talent and his lifelong commitment to exploration."